First up in the Pop Reading Challenge is a New York Times Bestseller. I’ve seen this book everywhere lately and have been dying to read it. And, according to the cover the book was an instant NY Bestseller. That novel is Luckiest Girl Alive by Jessica Knoll. 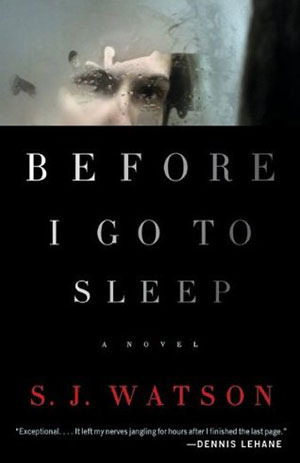 From the description, it’s supposed to be very much like Gone Girl but with it’s own twist. The teasers on the flap definitely drew me in. I can’t wait to find out what’s hidden in Ani’s past and how that past might jeopardize her future. I’ve been trying to avoid reading any reviews online so as to avoid spoilers. This seems like one of those books where the twist ending pulls the whole plot together. Stay tuned for the full review of Luckiest Girl Alive. Happy reading! This is it. The last novel of 2015. In a way I can’t believe it’s over. I have to say that this book challenge was so much fun to do. It got me reading so many novels that I felt were way too far outside my comfort zone to try. This Book Battle has not only made me a more adventurous reader but also a more open minded one. Instead of just turning down a book because I think that I don’t like the genre, I’ll give it a try and see if I actually do or don’t. And thank you all for coming on this journey with me. I have to say that I didn’t enjoy The Moonstone nearly as much as I enjoyed The Woman in White. Both novels have very similar set ups. They’re epistolary novels and told in many different perspectives and in many different voices. I did enjoy the butler’s narrative in this novel but there were many that I found rather grating. In The Woman in White, I really enjoyed how many strong female characters Collin’s incorporated into the novel. The Moonstone is almost entirely male dominated and the women are just on the margins or, quite plainly, annoying. I do love the detective aspect of this novel and seeing detective novels in their infancy and how much they have grown since this time. The detective isn’t in the novel long and isn’t infallible. He doesn’t quite have it right at first. He only solves the case after everyone comes together a second time. All in all, The Moonstone was an enjoyable novel. However, if you’re looking for a great Wilkie Collins read I’d chose The Woman in White. 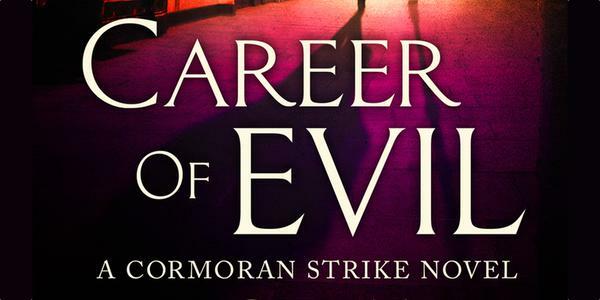 Career of Evil is the third installment in the Cormoran Strike series by Robert Galbraith/J.K. Rowling. The first, The Cuckoo’s Calling, introduced us to both Strike and Robin and focused much of it’s efforts on how to plot of the novel brought the two characters together. The second Strike novel, The Silkworm, was extraordinarily plot driven. And this newest novel is a mix of the two. Career of Evil lets us get to know more about these characters that we’ve come to love. We learn about both Strike’s and Robin’s past and how their pasts lead them to each other and the life that each has chosen. Strike and Robin remind me so much of Lord Peter Wimsey and Harriet Vane. They have a similar rapport with each other, outside of crime solving. Out of the three, this novel is by far my favorite. I feel like these two characters have been through so much together but know so very little about each other. And as a consequence, we the reader, don’t know much about either’s past. This novel shines a light on the past of each and how it drew them to where they are. As we already know, Strike’s mother was a groupie and his father a famous rock star. The crime in this case directly goes back to Strike’s past and is the perpetrator’s way of getting revenge on Strike. The three main suspects represent each phase of Strike’s life and all of them have a good reason to want revenge. Robin’s past, although not directly related to the case, ultimately leads to her involvement in it. I loved seeing both Robin and Strike evolve in this novel. The characters have so much depth to them. The closer I got to the end the sadder I became. I didn’t want this novel to have an ending. I would happily continue reading about Strike and Robin. As with the other two novels, this one has all of the danger and perhaps a bit more romance. I loved the focus on each character as they get to know each other better, faults and all. This novel has a lot of miscommunication, especially between Robin and Strike. They see and hear what they want, and that may not be at all what the other person means. It leads to many tense moments in the novel and to the novel’s conclusion, which isn’t so much about the plot but more about resolving the conflict between characters. Rating: 5/5 Can’t wait to see what’s next for this crime solving duo. Next up in Book Battle 2015 is a book my mom loves. Like myself, my mom loves a good mystery. She’s been reading the Cormoran Strike novels and recommended them to me for this challenge. I read the first two and liked them immensely. Cormoran Strike is a brilliant character. He’s an English Philip Marlowe if you will. He’s got all of the demons chasing him from his past that he continually tries to outrun. In this novel, his assistant Robin gets sent a human leg in the mail which leads them down a dark trail to find a killer who has a vendetta against Strike. Once again, Strike and Robin take matters into their own hands and doggedly try to solve the case against the wishes of the police department. I can’t wait to read what’s in store for Strike and Robin and perhaps find out more about both of their pasts. Stay tuned for the full review of Career of Evil. Happy reading! From the first this novel is jarring. The first person point of view really rattled my brain for a bit. It was a bit like jumping into a lake in the middle of winter. I wasn’t a huge fan. But soon the first person narrative begins to evolve as you get to know the character. It’s a pretty ingenious move by Watson to jar the reader right into the story. Sets the stage for whats to come. And places you a bit in the character’s own mind. The basics of the story are a woman has a rare and severe form of amnesia that causes her to lose her memory every time she goes to sleep. She can wake up one morning as a child and the next as an adult. Each morning she has to be reminded of who she is and who her husband is. There are photographs on the mirror and other various signs to keep reminding her throughout the day who and where she is. She soon finds out that she’s been seeing a therapist in secret and has been writing copiously in a journal all of the things she remembers. She finds out that she’s been remembering much more than what people have been telling her. And her memories don’t quite line up with those closest to her, namely her husband. This book was a roller coaster ride. I loved the thriller aspect of it. 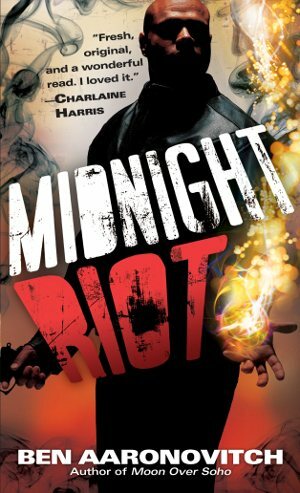 The novel kept me up late into the night so I could finish it and find out how the story ended. Some parts are a bit unbelievable but I can forgive those because the basis of the story is so frightening and complex. It’s one of the scariest ideas imaginable, to lose yourself and not be able to find it again. To not be able to trust your own mind. Is what you’re seeing real or have you made it all up? Is a bit like the movie Gaslight with Ingrid Bergman where her husband and his mistress are trying to slowly drive her insane. We instantly believe the things the people closest to us tell us about who we are and what has happened to us but this novel asks the question, should we? Should we believe what are loved ones are telling us or listen to our unreliable selves? Rating: 4/5 If you like psychological thrillers this is the book for you!